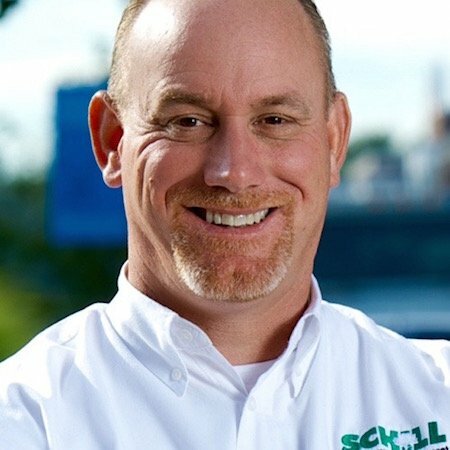 Are You Comparing Commercial Landscaping Bids Correctly? How can one company provide a price that’s so much less?! What does a lump-sum maintenance fee actually include? Will I get gouged for extras all season? At the end of the day, you want to be sure you get what you’re paying for. A typical Ohio season is 38 weeks. Don't be fooled by underpriced service contracts. Unfortunately, many landscaping bids do cut corners by offering seasonal pricing that may not include the level of service you expect—or contracts skimp on important tasks like edging and pruning. You might end up paying more at the end of the year if you sign a contract that appears to cost less than the rest but does not include all of the services you need and the level of quality you demand. 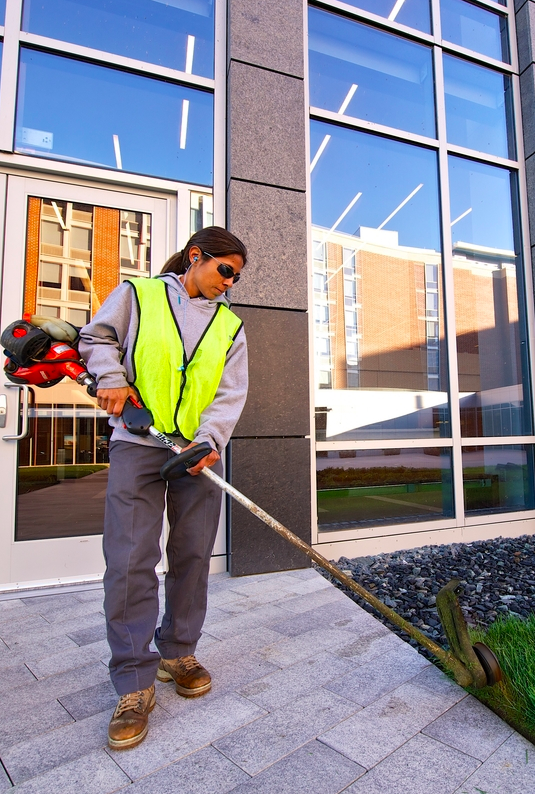 Here are some pointers for comparing bids from multiple commercial landscapers so you can make the best decision from a service, quality and budget standpoint. Is the service you’ll get what you think you’re going to pay for? Probably not if you expect a landscaper to visit your property on a weekly basis and the bid lists a lump sum for services. You see, one way that landscapers cut costs on bids is to price mowing per season versus per cut. So, rather than pricing out 32 mowings per season, the bid’s lump sum might only figure in 26 visits. If you’ve got a property that costs $1,000 per mowing, that difference in estimating can shave thousands off the proposal. So, that lump sum price looks like a better deal. The problem is, once you get into the mowing season and the company begins to taper off mowing in summer—maybe visiting your property every 10 days or so—will you be happy with the landscape’s appearance? Will weed control, edging and pruning go by the wayside during that longer break between services? Consistency is the big issue here. When maintenance visits drop off mid-season, your property can lose its luster. For high-visibility properties and those with irrigation systems, weekly visits are essential. We strongly advise asking contractors who provide lump-sum bids to spell out how many times they will visit your property. Does their lower price only include 26 visits (or less)? If so, it’s impossible to compare that bid with one that counts on a weekly visit to service all aspects of your property. They’re different levels of service—it’s not an apples-to-apples comparison. So if one contractor does provide a lump sum bid without specifying the number of mowing visits per season, ask for that number. Then you can determine what the real cost of the service is. Be sure that frequency is listed for every line item on the contract. Every contract is different, so to really compare bids, you have to drill down and find out the details of every service listed. Does the contract include monthly or bi-weekly edging? What are you expecting and what does the contract actually include? We find that property managers who have had bi-weekly edging in the past are usually disappointed with monthly edging because their properties lose that crisp, clean look. If your property has an irrigation system, is service for the sprinkler system included in the contract? To what extent will the contractor care for your irrigation system, and how much do irrigation “extras” cost (such as replacing a broken sprinkler head)? Does the contract include irrigation system start-up and winterization? Find out how the contractor applies mulch, because processes save you money. Does the company use a “mulch mule” or a blower to improve efficiency, or do crews manually spread mulch and use wheelbarrows to haul it around properties? Be sure the contract specifies when and how often seasonal color rotations will occur, and how much plant material is estimated for annual plantings. If one contract is pricing out an entry bed and another is estimating for all landscape beds, there will be a significant pricing discrepancy there. Decide what your goals are, then ask the contractor to provide a price for what you want rather than accepting a bid with the contractor’s preference. Pruning is an area where landscape bids can look quite different. One contractor may prune annually; another may include regular (weekly even) pruning in the service contract. If your commercial property has roses—including popular Knock-Out roses that many commercial sites like—you’ll want weekly pruning to ensure those plants bloom continuously through the growing season. If your property has lots of hedges or shrubs that will require trimming and shaping throughout the season, you’ll want a landscape contract that figures in that service. Also, some landscape maintenance bids include cutting back perennial grasses as part of fall-cleanup or basic weekly maintenance. Others add pruning fees for this activity. If you expect the landscaper to cut back grasses before winter, be sure this is listed in the contract so you don’t end up paying more than you anticipated to complete the task. 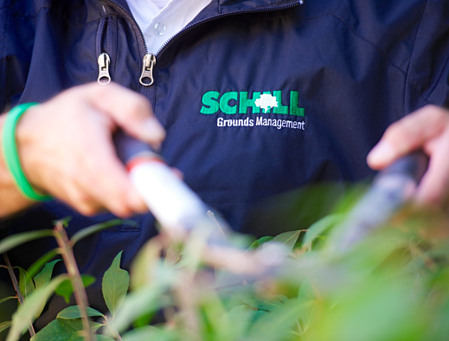 Keep in mind, most landscape contractors are not licensed to perform pruning on large trees. Most contracts include pruning for trees that are a 3-inch caliper, and they’ll prune whatever they can reach up to 15 feet from the ground. There may be price differences for shrubs vs. trees. Make sure these details are all clearly spelled out so you can truly compare bids. Collect bids that include the services you want and need for your commercial property by providing contractors with a detailed scope of work. Spend some time considering what services your property requires to look its best. Over time, properties change—and older properties may require more maintenance or some enhancements to improve appearance. So, the same scope-of-work you have used for the past few years might need to be updated. A professional contractor can help you with this by providing a no-obligation free property assessment. Seriously consider your goals for the site, and then ask every contractor bidding to provide a proposal based on your requirements. That way, you’ll have a better chance of getting bids that you can actually compare. A thoughtful bid takes time to create, if a landscape company is doing its job. Rather than just collecting an electronic form or paper, ask the landscaper to share the story behind the bid. When the contractor presents the bid, you can ask questions and better understand the fee structure and what you’ll get for your money. Also, when a landscaper spends the time to review a bid with you, you can be sure if you hire that contractor that there will be no surprises. And, we take the time to get to know properties and assess clients’ needs so we can provide bids that address property managers’ goals. We dedicate time to building our relationship with clients. We anticipate their landscaping maintenance and enhancement requirements so we can offer a bid that will exceed expectations while staying on point from a budget perspective. Not sure how to compare bids? We can help with that, or work on the front end to assist with a scope of work that meets your property’s changing needs. Call us any time at 440.327.3030, or fill out this simple contact form and we’ll get in touch with you.